Home / Where to find the system? All users using this system has an individual account, which holds all of their annual leave requests and entitlements. In order to access this, you have been provided with an email address and a password. This has most likely been sent to you in an email from “requests@annualleave.com”. 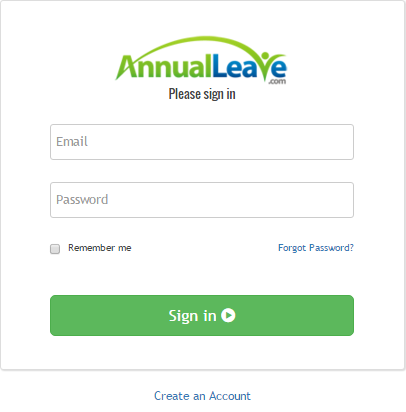 All the emails from the system will come from “requests@annualleave.com”. If you use anti-spam software, please add this address to your safe list. Simply enter your email address and password into the appropriate boxes, and then click “Sign In”. No problem. Simply click on the “Forgot Password?” link on the log in page. You will be prompted to enter your email address and then click “Reset Password”. Your password will then be sent to your email address. No problem. Contact your HR department and they will send you your log in details again.